The good news is 98% of us were born creative geniuses. The problem is the creative juices have disappeared because of a lack of use. Interesting fact, outside of the Western Developed Nations, roughly 70% of all employment is self generated. Someone finds a problem in the village or neighborhood that can be solved and discovers a way to earn a living and to feed a family by solving it without an undergraduate course in entrepreneurship or any financial capital. Joining us for our discussion on Can Creativity Replace Money? is CARL NORDGREN who is in our Durham NC Area studio. CARL NORDGREN has worked as a fishing guide on the English River in Northwestern Ontario and on the White River in the Arkansas Ozarks, as a bartender, a foundry man, college professor and a serial entrepreneur. 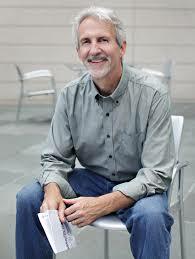 He lived with his family in Ireland for a year where he researched the IRA, and for 14 years he taught courses in Creativity and Entrepreneurship at Duke University. He graduated from Knox College and lives in Durham, North Carolina with his wife Marie where they have raised three daughters. ` His new book is Becoming A Creative Genius (Again).